The XK6 engine was a game changer when it was introduced after WWII, but by the mid-80s, it simply couldn't keep up with new technology. Jaguar replaced it with the AJ6, a slant 6 with a DOHC head, four valves per cylinder and an aluminum block. 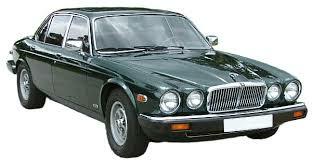 With its excellent power to weight ratio, the AJ-powered XJ6 was able to keep up with V8-powered luxury cars while giving the big sedan the handling and quiet operation owners expected from a Jaguar. The AJ16, introduced in 1994, revised the design to keep up with its rivals before being replaced by a new V8 in 1998. If you want to keep your Jaguar XJ6 performing like it did when it left the production line, you need OEM factory parts from Jaguar of Las Vegas. OEM is all we carry, so you'll always get a part that fits correctly and works exactly like Jaguar's engineers intended. We have everything you need for maintenance and repair including oil filters, fog light bulbs and even replacements for that distinctive Leaper hood ornament that should be on your car's hood. To find a part, start by typing your VIN into the search box, or pick your model, year and trim from the menu on our home page. From there, our site will use this information to find parts that will work with your specific vehicle. Need to know more? Our parts personnel will be happy to help - just call us or send us an email.